Derrick Nelson, Ph.D., principal of Westfield (N.J.) High School, in an undated photo. Flags were flown at half-staff Monday in Westfield, N.J., and a funeral is set for Tuesday to honor a beloved principal who lapsed into a monthlong coma and died after donating bone marrow to a boy in France he’d never even met. 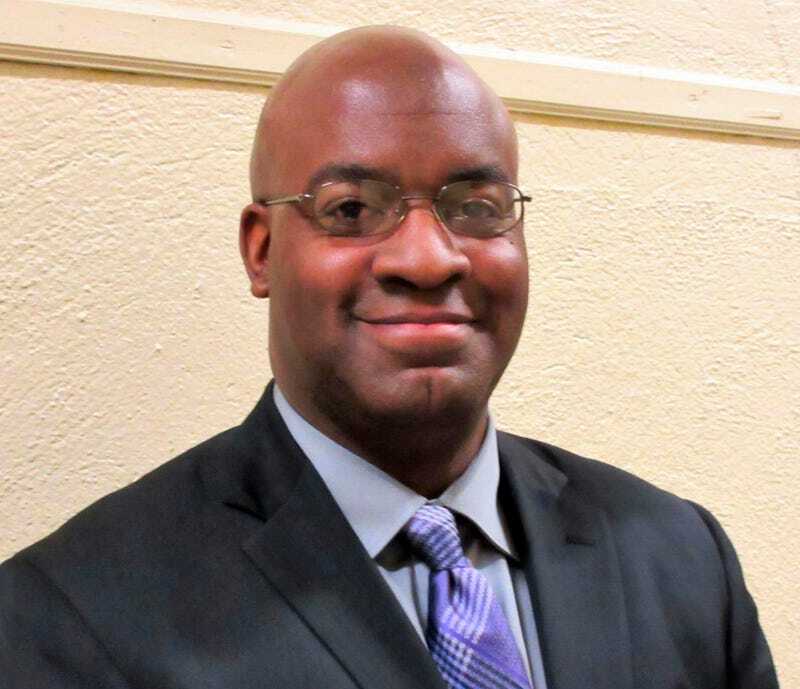 The death of 44-year-old Derrick Nelson shocked and saddened the community of Westfield, where Nelson had worked at Westfield High for almost a decade as an assistant principal, and then principal. “He was a man of immense character and kindness, and his legacy will live on in the generations of students whose lives he touched,” Westfield Mayor Shelly Brindle wrote on her Facebook page, according to the Bridgewater Courier News. Nelson’s fiancée, Sheronda Braker, with whom he had a daughter, says giving to others was practically a part of Nelson’s DNA. Despite what happened to Nelson, medical experts say they hope people are not discouraged from donating bone marrow and other life-saving tissues and organs. Bone marrow in particular can be life-saving for people with sickle cell disease, an inherited illness that is more common in certain ethic groups, including those of African descent. Roughly 1 in 12 African Americans carry a sickle cell gene. “Deaths are almost unheard of,” according to Dr. Muzzafar Qazilbash, professor of stem cell transplantation at the University of Texas MD Anderson Cancer Center. While all surgeries and general anesthesia carry some risk, Qazilbash told Prevention magazine, “There are a lot of safeguards in place” and that anyone who is not in good physical health is usually not cleared by doctors to donate. “The risk of complication is extremely, extremely low,” Qazilbash said. Nelson didn’t hesitate to help when the bone marrow donor organization Be the Match contacted him in October 2018 to tell him he might be a match for a 14-year-old boy in France. “If it’s just a little bit of pain for a little bit of time that can give someone years of joy, it’s all worth it,” Nelson told Westfield High’s school newspaper. However, according to the newspaper, the 20-year veteran of the U.S. Army Reserves had sleep apnea, a condition that causes people to stop breathing repeatedly while asleep, as well as carried the trait for sickle cell anemia. Doctors determined that doing surgery and putting Nelson under general anesthesia to retrieve the marrow would be too dangerous, and that as a carrier for sickle cell, removing his blood via an IV method would also be risky, and so he underwent local anesthesia to enable doctors to remove blood marrow and send it to France, the paper reported. Sadly, Nelson lapsed into a coma following the procedure and he never regained consciousness. His funeral is scheduled for Tuesday. A Change.org campaign is calling for Westfield High School to be renamed in Nelson’s honor, the Bridgewater Courier News reports. “His impact was felt the moment you walked in as a freshman or the moment you left as a senior,” Westfield High senior Adam Holtzman said of Nelson.